Me, too. It’s not that I don’t like “modern” versions of food. I guess it’s just that all the old country-style recipes really bring back memories to me. For the most part, very good ones. This cake is one. It’s like what grandmothers (or in my case my Great Aunts) everywhere used to make – if your grandmother didn’t pull out a Betty Crocker box. It’s a classic, sturdy, delicious cake that takes to frosting like a duck to water. It’s funny how what you appreciate changes as you age. It can be aspects of relationships, your work, your play or even your food. What was unimportant evolves to take on significant meaning in your life. You appreciate the small things. That’s what life is all about. I grew up in the country. We weren’t poor, but we weren’t rich so as much food as we could was made at home – dinners, cookies, donuts, pies and cakes. It was the “store-bought” stuff that was the treat. It was “special.” Homemade was boring. That’s done a complete 180° turn. Who in their right mind would pass up a homemade baked good? There’s no comparison. Perhaps that is why I am the way I am today, making as much food as I possibly can. It goes a long way in explaining my (almost) obsession with making things myself. It also gives me a sense of accomplishment, and more money in my wallet. We would all like that. There’s three aspects to food: the taste, nutrition and bonding. We should never underestimate the latter. Convenience food has taken much of the taste (and nutrition) out of what “real” food used to be. It also has sucked part of the good feeling out of mealtime and its preparation. Tell me who who wistfully remembers the days when the family sat around the “science oven” waiting for dinner to come to the table. I venture not too many. Who remembers pulling the plastic wrap off a TV dinner as a warm family memory? Making food together brings us closer, whatever form your family takes. Of course cake is a big part of those memories. We not only use it as a dessert but also as a way to mark milestones in life like birthdays, weddings and anniversaries. So knowing a down-home classic for a cake is a really good thing. This is called “yellow cake” because, well, it’s yellow. That means the egg yolks are included. 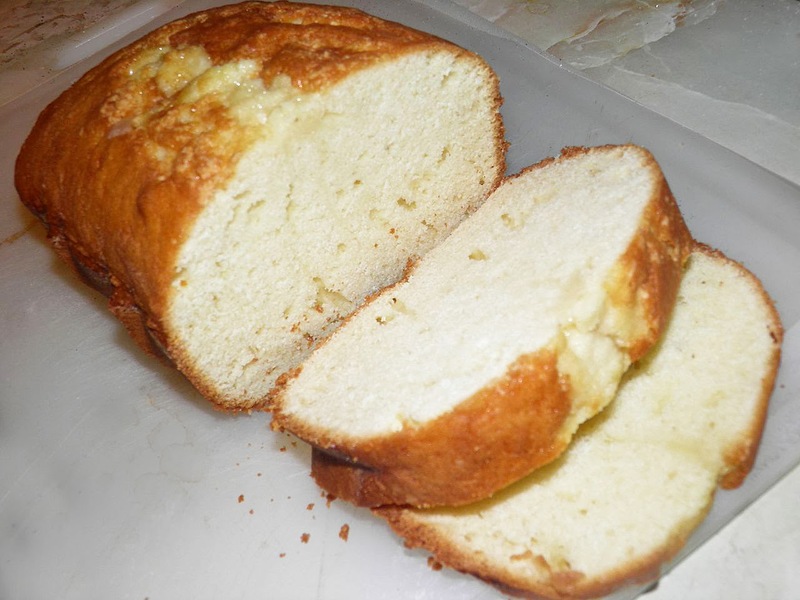 Another old standard is “white” cake, using no yolks and beaten whites which makes it very airy. Of course there are others including hybrids, but those are the two biggies. Cakes also come in two basic preparations. 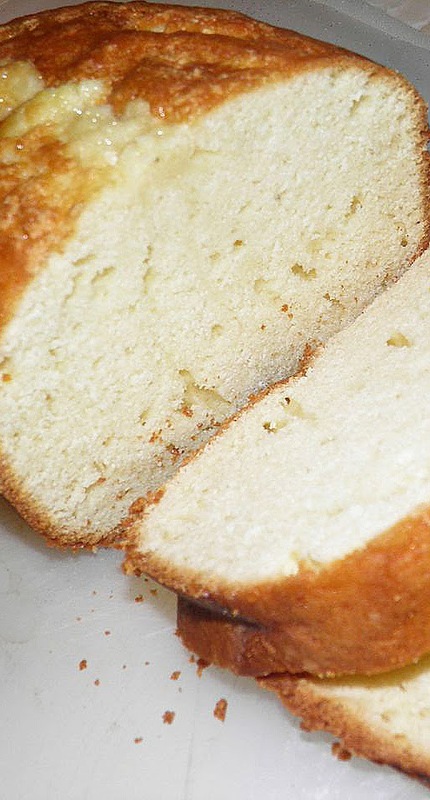 One beats the eggs and sugar until light and fluffy, which adds air to the cake. The other “creams” the butter and sugar together so is more dense. This is the latter. Don’t be afraid of cake. If you follow the recipe you should have no problems. I know, sometimes cakes can be spectacular failures. I’ve had my share. But it’s usually when I start fiddling with a recipe. I’ve tested this one for you. This cake would make a great celebration cake, or even cut up and used in a trifle. It can be made square, or in a tube pan, or sliced into layers and tarted up to your heart’s desire. It’s up to you. I made mine in a rectangular bundt pan. Whatever pan or pans you use will affect baking time. But it’s easy to tell when a cake is done. 1. it pulls away slightly from the pan edges, and 2. a toothpick inserted in the centre comes out clean. So begin to appreciate the small things in life. Go make a cake and bake some memories! 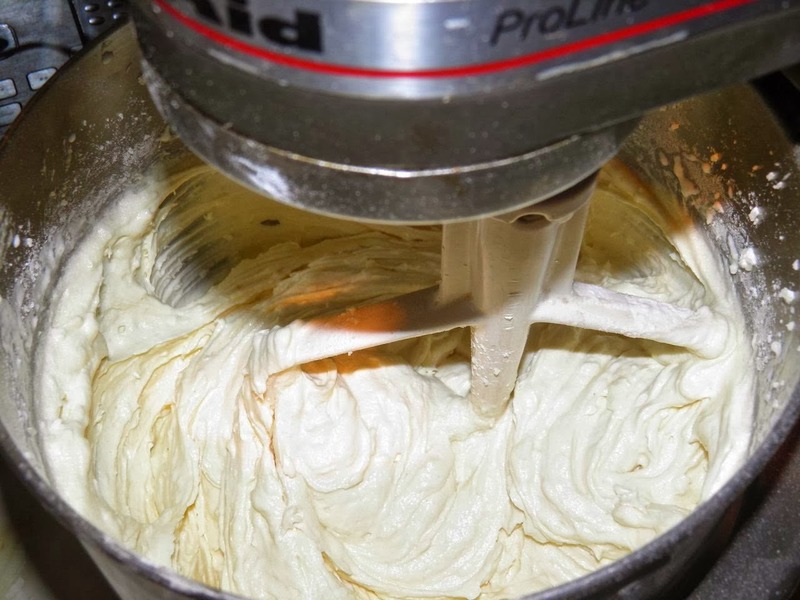 Place the butter and sugar in a mixing bowl and beat until creamed. It will not get “fluffy.” Then add the eggs, one at a time, beating well after each one. Add 1 cup of the flour to the batter and beat in. Scrape the bottom and sides of the bowl with a spatula. Then add 1/2 cup of milk. repeat this procedure two more times until all the flour and milk are incorporated. Then beat in the vanilla. Pour the batter into your chosen pan and bake for between 30-60 minutes, depending on the pan you are using. Layer pans will take less time, a tube or bundt pan much longer. Start checking with a toothpick or cake tester needle when the centre looks set and doesn’t jiggle. When done, the tester will come out clean. Test “dead centre,” as that is the last place the batter cooks. Cool in the pan for 10 minutes. Then turn out. Frost or not. It’s up to you!